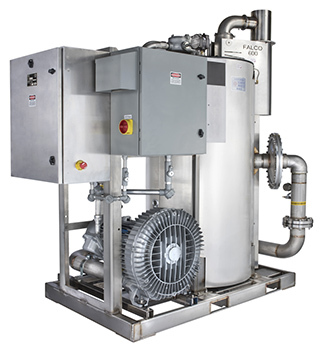 The FALCO 600 with dilution blower and variable frequency drive is the ideal solution for industrial vapor treatment. Process vapors are captured and efficiently destroyed by catalytic oxidation. Startup and operation are fully automatic. 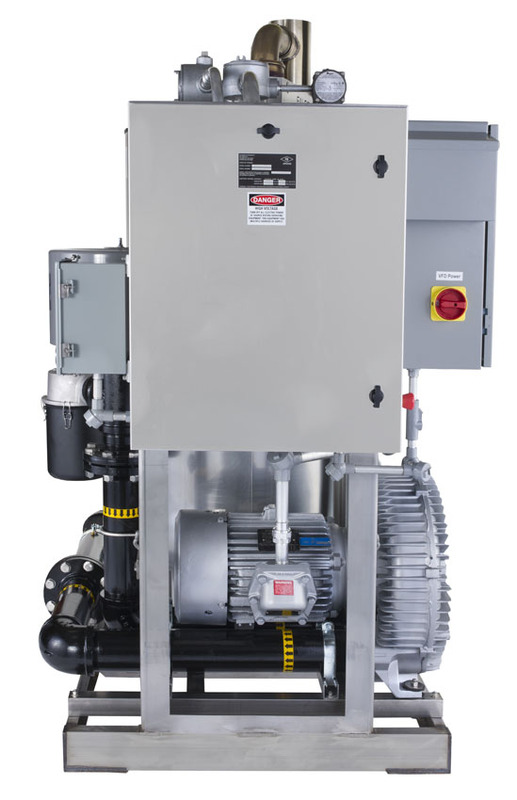 Temperature controllers accurately regulate inlet concentrations by adjusting dilution blower speed. Speed is increased during high mass flow of hydrocarbon and slows during low mass flow or at standby to save energy. 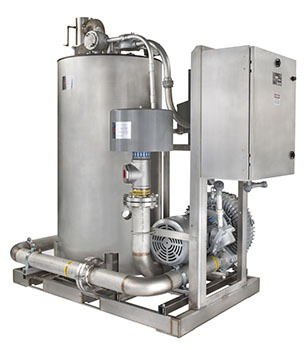 Automatic shutdown results if temperatures exceed limits. 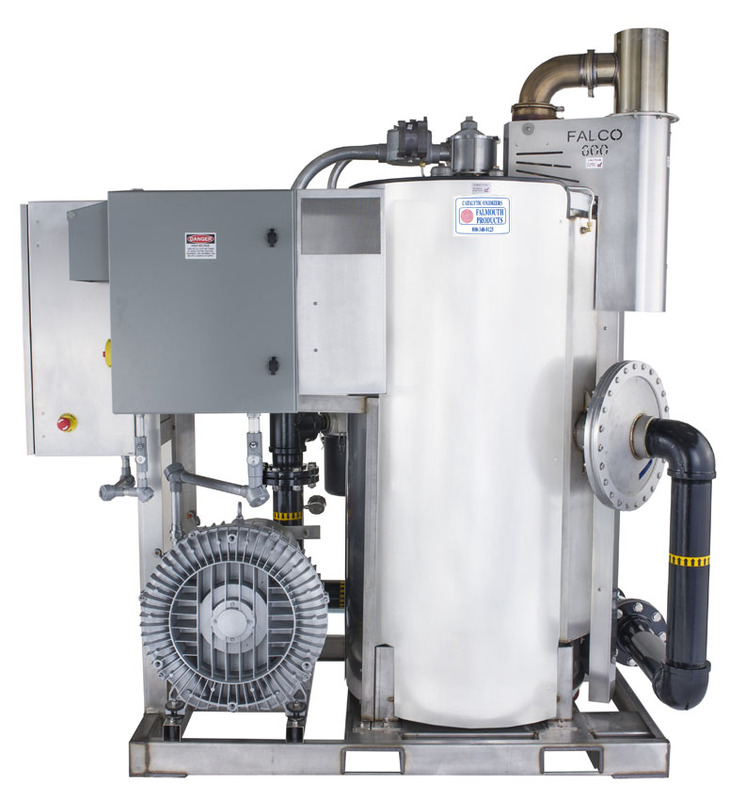 The FALCO 600 has an efficient spiral plate heat exchanger. 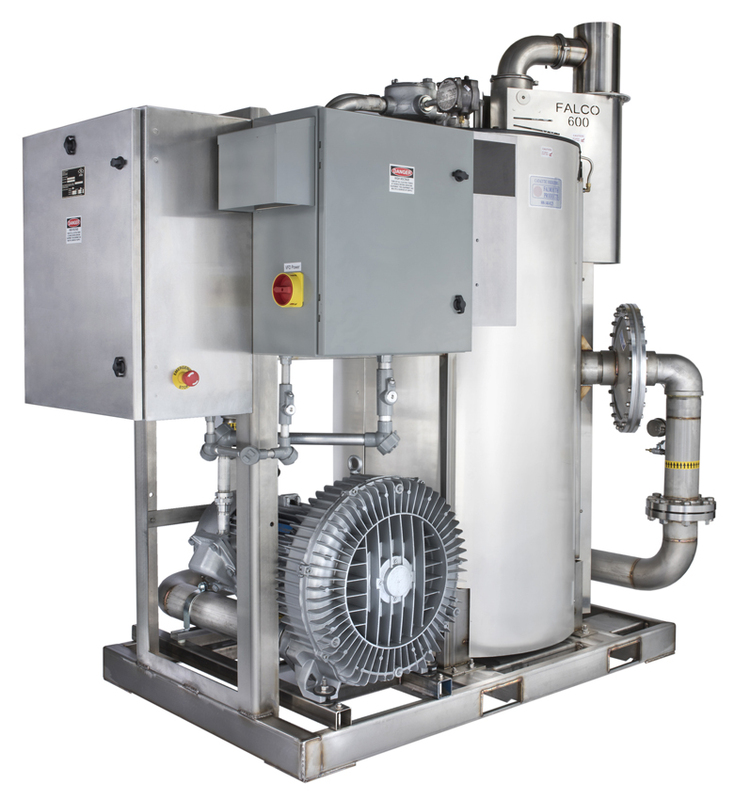 A bypass valve automatically increases heat recovery during low concentration operation and standby, and reduces heat recovery to accommodate high concentrations. 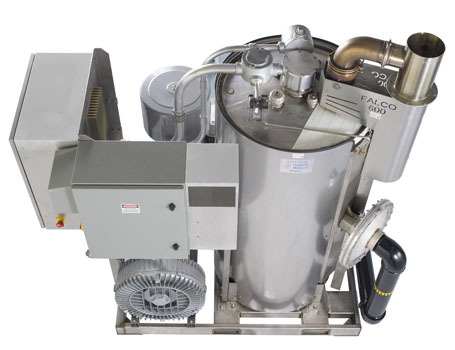 The FALCO 600 has a massive catalyst volume for its rated capacity, providing longer life and poison resistance than monolith type catalysts. 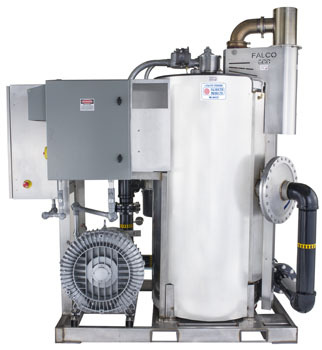 Components are mounted on stainless steel frames which support the FALCO 600, blower, VFD, and accessories. 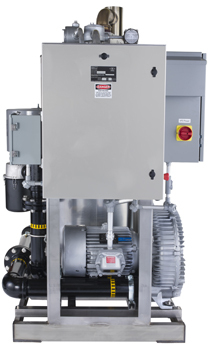 This low profile system weighs only 2,500 lb. and is 50” wide, 78” long, and 87” tall. This standardized package is easily installed and operated and can be integrated into a wide range of process air streams. •	Heat exchanger Stainless steel spiral plate. 73% efficient at 300 scfm. Click here to view a printable PDF Cut Sheet with detailed specifications for this product.